It's officially less than four months until this year's Blogathon, and all of the pieces are falling perfectly into place! I haven't given a proper Blogathon update yet since the details were sorted out and the sponsors have been added so I thought I would do just that! 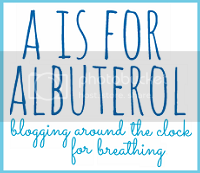 A is for Albuterol is my Blogathon platform. What's a Blogathon? Well, you know how some people run, walk, swim (et cetera) while people sponsor them by pledging donations to charity? It's kind of like that, but for us folks who are way better bloggers than we are athletes. Starting August 3rd, 2013, I will be blogging once every single half an hour for 24 hours straight while people sponsor me by donating to my charity. Thanks to this year's fabulous sponsors, I'm excited to announce that for every $5 you donate, you're eligible to win some sweet prizes. For starters, MyMemories will be giving every single donor who donates a minimum of $10 a free copy of their digital scrapbooking software, a $40 value! 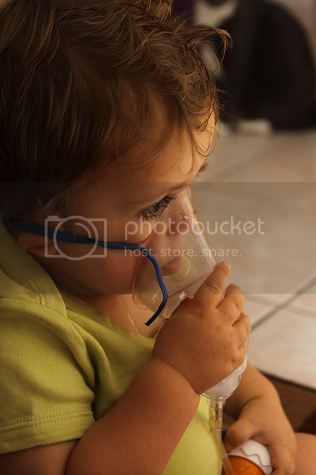 I will be blogging to raise funds for the Global Links Nebulizer Campaign. Global Links is a medical relief and development organization with a motto that will haunt you: People in other countries are literally dying from what we throw away. Global Links provides those in need with medical surplus that we take for granted, from sutures to hospital beds to everything in between and everything above and beyond. One of their departments is a Nebulizer Campaign which puts nebulizers where they are needed the most. The chilling idea that some mothers have to carry their children as they struggle to breathe for miles -- days, even -- with only the hope that their child will both stay alive and find a shared nebulizer station is haunting. With asthma on the rise and becoming a worldwide epidemic, especially in less-developed countries where farming is on the rise, the need for nebulizers is higher than ever. No child should ever have to die because of the inability to breathe. This charity speaks to my heart because as you may (or may not) know, Ethan has required a nebulizer to breathe since he was four months old and contracted RSV. 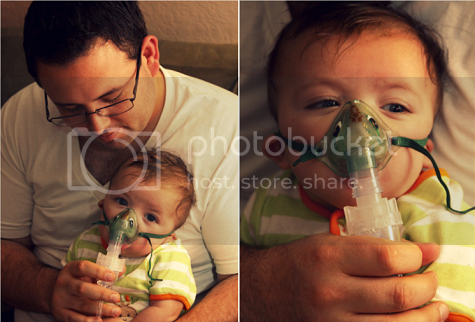 After a month, RSV had left Ethan's body but the damage stayed. At almost two, Ethan is still on twice-daily nebulizer treatments when well and more frequently when he's having flare ups or is sick. A simple cold, to someone like Ethan, is way more than that. As Ethan's mother, I've oftentimes felt sadness, anger, frustration when I think of these nebulizer treatments and the fact that something as trivial as a weather change, someone smoking outside a restaurant, running too much when it's cold outside, are enough to interfere with Ethan's breathing. It wasn't until I learned about Global Links that I realized how fortunate we truly are -- how lucky we are to have access to an in-home nebulizer, how lucky we are to have the ability to administer a treatment when it's needed. So many are not so lucky, but we can help change that. Donate. To sponsor me and pledge your donation to the Global Links Nebulizer Campaign, visit A is for Albuterol and use the donation widget on the top left. Donations are processed through FirstGiving. Every dollar counts give the gift of breath! Blog about it. Something new this year is the Bloggers Who Have Our Backs feature. If you're a blogger, share our button on your page, make a post about the Blogathon and earn free ad space on A is for Albuterol all the way until next year's Blogathon. Check out how to get started and the great bloggers who have supported our cause so far! Holy cow, this is amazing! You are such an incredible woman. I LOVE this. I have had acute asthma my entire life so I know a lot about nebulizers, Albuterol, epi pens and Singular (which was my wonder drug). 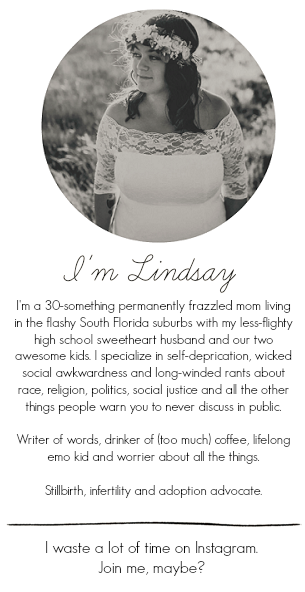 I will definitely put the button on my blog and please let me know if there is ANYTHING I can do to help!